Hey everyone and how's it going? I know it's been a while since I've last posted anything on here. But, I'm back and I'm here to bring to you all a book review yay!!! (Side note: be expecting a lot of reviews lol!) 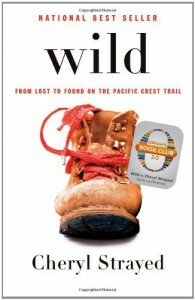 Today I am reviewing for you all "Wild" by Cheryl Strayed. 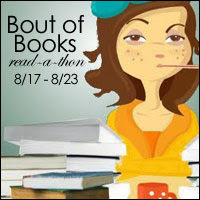 This book has been on the back of my mind for while so let's get started! If you haven't read or at least seen the movie, then gather around kids, get nice and cozy, enjoy a warm drink and I'll tell you all about it...hehe! The story is centered around Cheryl and her journey through the Pacific Crest Trail that runs along the Mexican Boarder in California and ends somewhere near the Canadian Boarder. Cheryl was 26 at the time and it was in the mid 90's when she done this. She had been through a lot, the lost of her mom, had affairs, separates then divorces her husband, and she and her siblings don't talk as much, same goes with her former step-dad, and also starts using heroine. She one days sees the guide book for the Pacific Crest Trail and flips through it and then sets it down. But, with her divorce, dealing with her new boyfriend, and drugs. She decides to go and get the book and goes for it! There is hilarious moment when she tries on her backpack, that is so totally filled with unnecessary things. Needless say while getting up off the floor, she brings with her the hood of the AC unit in her room! Plus, other funny moment. So, that is as best as I can get with explaining the book! I thought this book was amazing, I felt that I was taking the trail with her and experiencing what she went through, all in the comforts of my own home. She made me laugh a bit and annoyed sometimes. She meets a lot of amazing people along the way. Majority of them were men, but they respected her for doing the trial all by herself. She did come across not so pleasant people, but mostly she found a lot of kind people. Her favorite was a guy name Doug. This made me want to do something like that, but then I go "eh better not" lol! I wouldn't mind hiking and just exploring a park, but only for a week or two. But, she is a brave woman for doing so and I admire her, not a lot of us would do something that is out of our comfort zone. No matter who you are, but I guess if you do, then you learn more about yourself, without all the judgement that you rely on from others about yourself. It will totally shake me to the core if I did the PCT or something similar. Because, all we can do is just think and walk. Plus, not to mention keeping a lookout for wild animals and such. I totally recommend this book to everyone! Whoever you are! So, here is where I'll end! I hope you all are blasting through your TBRs! I have quite a bit on my table! Until the next post, be fantastic! I haven't done one of these for a long time haha!! !